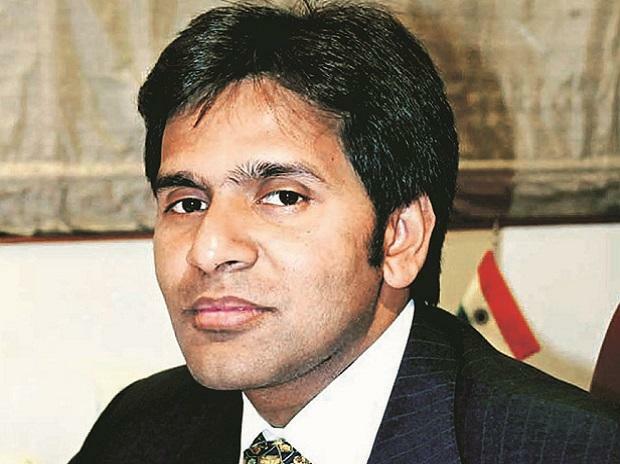 Bhushan Steel's erstwhile promoter Neeraj Singal, arrested by the SFIO for allegedly siphoning off Rs 25 billion funds, on Wednesday got bail from the Delhi High Court, even as the Supreme Court agreed to hear the appeal of the probe agency against the release order on Thursday. In a day filled with dramatic twists and turns in the case, the Delhi High Court at 10.30 AM granted interim bail to the jailed industrialist which led the Serious Fraud Investigation Office (SFIO) to rush to the apex court to seek a stay on the release order. A bench headed by Chief Justice Dipak Misra did not grant interim stay on the High Court's order but considered the vehement submissions of the probe agency that the release of Singal would cause a grave harm to the investigation and ordered listing of the appeal at 10.30 AM on Thursday. However, subsequent developments at the High Court in the evening virtually rendered Wednesday's proceedings in the top court on SFIO's appeal infructuous. After the conclusion of the hearing at the apex court, the High Court took up the matter and said since the top court has not stayed its order granting interim relief to Singal, the trial court "should not waste time" and pass the release order. "Any kind of delay in implementing the order of this court will not be countenanced," the high court said and directed its Registrar General to "immediately communicate" to the special court to implement the bail order "without any delay". Additional Solicitor General Tushar Mehta, appearing for the SFIO, mentioned the matter for urgent relief before the bench, which also comprised Justices A M Khanwilkar and D Y Chandrachud. Mehta said Singal was accused of siphoning of Rs 25 billion of public funds and his release would cause grave harm to the ongoing probe which has reached at an advanced stage. "It is a very, very serious case of fraud and if the bail order is not stayed then the accused would come out of jail tomorrow and he would influence the witnesses in the case," he said. "We are in the midst of a critical probe and we are going to recover Rs 10,000 crore more," he said, adding that the accused has been running over 87 shell companies through his employees and if he got out of jail, the staff would never support the probe agency. He claimed that public money has been taken through bank loans and usurped by the accused, while vehemently seeking a stay on the High Court's release order. The top court initially suggested that it will ask the accused to surrender his passport and report to the local police on a daily basis and would fix the appeal of the SFIO for hearing on September 4. "We don't want another (Vijay) Mallya. Passport deposit will not serve the purpose," the law officer said, adding that no harm would be caused if the release is stayed for 48 hours. Mehta said that the bail order was passed in a habeas corpus petition by the High Court when it was the matter of common knowledge that the accused was validly arrested by the SFIO. A battery of senior lawyers -- A M Singhvi, C A Sundaram and Siddharth Luthra -- opposed the plea of the probe agency and said the reasoned bail order of the High Court cannot be stayed in this fashion. Singhvi said the probe in the matter was going on since May 2016 and the accused was in jail from August 8.